Former New York Gov. 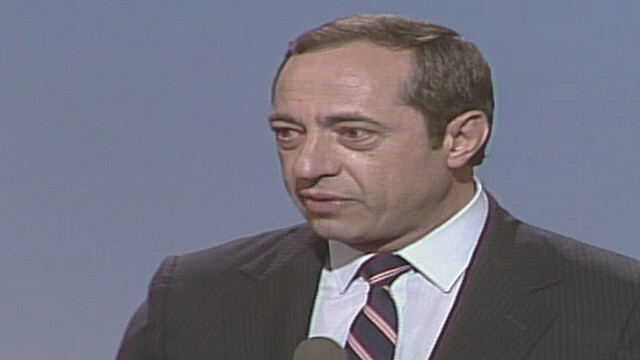 Mario Cuomo at the 1984 Democratic National Convention. The Democratic Party loses one of its icons. Bad weather slows AirAsia search. And the college football national championship is set. Party standard-bearer: The Democratic Party has lost one of its giants. Former New York Gov. Mario Cuomo died yesterday at the age of 82. He had been hospitalized recently to treat a heart condition, but passed away, at home, from "natural causes due to heart failure," his family said. Cuomo's passionate and powerful keynote address at the 1984 Democratic political convention vaulted him onto the national political scene. President Barack Obama praised Cuomo for his faith in God and championing of progressive values in a statement issued by the White House. (CNN) - Searchers looking for more bodies and wreckage from AirAsia Flight QZ8501 in the Java Sea faced fresh difficulties with bad weather on Thursday. Ships, planes and helicopters are trying to find victims of the disaster. Most of the people on board the flight remain missing, and officials are yet to confirm that they've found the fuselage of the plane. 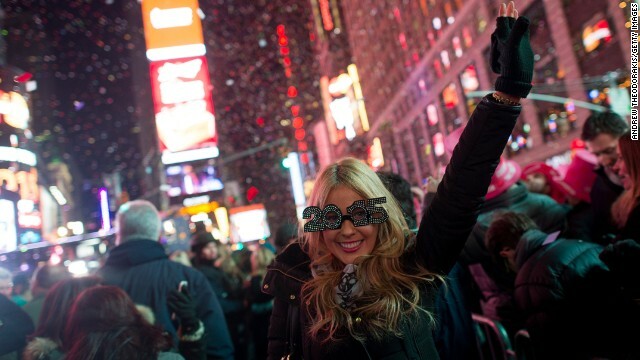 People cheer as the ball drops at midnight in Times Square on January 1, 2015 in New York City. * Bang! * Boom! * Pop! * Cheer! * Suddenly it’s here! The New Year! 2015 beckons us to look ahead with best resolutions for the next twelve months and to reminisce on the dozen we laid to rest last night. How about we start 2015 with an aspirin for that hangover and “5 Things to Know for Your New Day." What we have in common: Wear red underwear if you want love - Brazil. Throw beans out the front door to ward off misfortune – Japan. Eat black-eyed peas and greens for luck and money – the American South. Pour molten lead into water to tell your fortune – Germany. New Year’s traditions vary from culture to culture, but there’s one that spans the globe – fireworks displays. From Sydney to L.A. the pyro blossoms were spectacular last night. Here are collections of the most luminous midnight skylines.